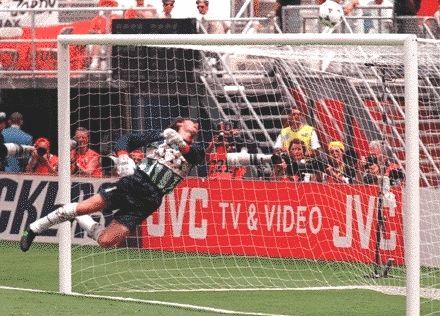 Belgium's Michel Preud'homme was arguably the best goalkeeper in this tournament. His contribution to Belgium's first round victory over their neighbours Holland was immense. Here he makes another breathtaking save.